Fact or Fiction is back in 2019! In this feature, we will tackle some of the pressing questions in Palm Beach with HSBN Co-Founder Anthony Uttariello and Editor-in-Chief Rick Duteau. 1. 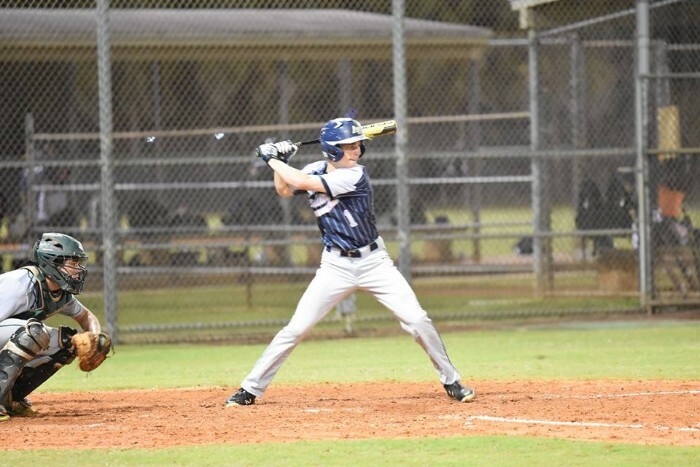 Any of Berean Christian, Boca Christian or St. John Paul II will finish the year with a team batting average above .400. Anthony: Fact. Pope John Paul has too tough a schedule to maintain .400, and Boca Christian’s schedule gets much more difficult down the stretch. That leaves Berean Christian. While .400 is a huge number as a team, I don’t think it is unreachable. I think Berean has the best shot. They hits .363 last season, with a team that was loaded with juniors. Seeing them improve by 40 points now that all those juniors are seniors, is realistic. It becomes even more realistic when you take into account that the Bulldogs will only face four teams with winning records the rest of the way. Rick: Fiction. Berean Christian, Boca Christian and St. John Paul II have shown strong offense thus far, but .400 as a team is easier said than done. Last year Benjamin had one of the strongest offenses in the state and finished hitting .371 as a team. Ted Williams would be proud of the strong start, but that is a tough target to surpass. 2. There are six teams currently with ERA’s under 1.50. Any of these teams will finish with an ERA under 1.35. Anthony: Fact. Not only do I think one of these teams will finish under 1.35, but I believe up to three of them might. As Rick states below, Heritage and Carroll are loaded on the mound. While those two teams are a lock, I think any combination of West Boca, Seminole Ridge, Boca Christian, and Benjamin could finish under that mark. To go even farther out on a limb, I think the team that wins the ERA title this season may not even be on that list of six. Defending state champion Jupiter, who nobody is talking about because of their slow start, has an ERA of 1.51. The Warriors have played a gauntlet of a schedule so far, and as Manager Andy Mook rounds his team into form as he does every year, I expect several more zeroes put up by the Jupiter pitching staff down the stretch. Rick: Fact. The John Carroll Rams will finish well below this mark. The Rams are deep with Nick Gorby, Kelsey Ward, Brandon O’Brien and Tommy O’Sullivan and runs are going to be tough to come by for opposing offenses. American Heritage will also likely finish below 1.35 on their way to a state title. They are just as loaded on the mound, with Carmine Lane, Nelson Berkwich, Ryan Bruno, Bailey Uderitz and Carsten Finnvold all off to great starts in 2019. 3. Seminole Ridge, Okeechobee, Saint John Paul II, Boca Christian and Berean Christian are all playing good ball. One of them will break through and win a district title this season. Anthony: Fact. This was an easy one, because all of the teams mentioned are playing very good baseball right now. The hard part is figuring out which will break through, because they all have formidable district foes standing in their way. Okeechobee and Saint John Paul play in difficult districts. Getting out of the district will be an achievement for any team coming from those districts. Saint John Paul is up against perhaps the best 4A team in the region in Heritage-Delray. Seminole Ridge has to deal with Wellington along with Royal Palm and Forest Hill teams that can beat anyone in the district when they play well. Boca Christian will need to get over the Trinity Christian hump, and Berean Christian is facing a loaded district. My gut feeling is at least one of these teams comes away with a district title. Rick: Fact. Certainly more than one team is capable of it, but I am going to focus on Okeechobee here specifically. The Brahmans played in the district championship last year and made a run all the way to the regional finals. Okeechobee graduated nine players, but is still very strong up the middle with veteran leadership in the right places. 7A-13 is one of the most even in the area, as all four teams are capable of beating the other three. These four teams of Okeechobee, South Fork, Martin County and Jensen Beach are all capable of winning the district, and currently three of them have winning records, and South Fork is right there with a 4-5 mark. The Brahmans are off to a 4-2 start and won their first district game, looking to turn the corner and go from the hunter to the hunted after winning in an upset as the number three seed last year. It’s pretty difficult to pencil in a favorite in this district, and it is one of the more exciting district tournaments to follow every season. But I like Okeechobee’s chances. 4. We will have a state champion from Palm Beach this season. Anthony: Fact. Every year, we get a Palm Beach or Treasure Coast team that makes an improbable run, and that doesn’t count the traditional powers that show up in the regional finals annually. 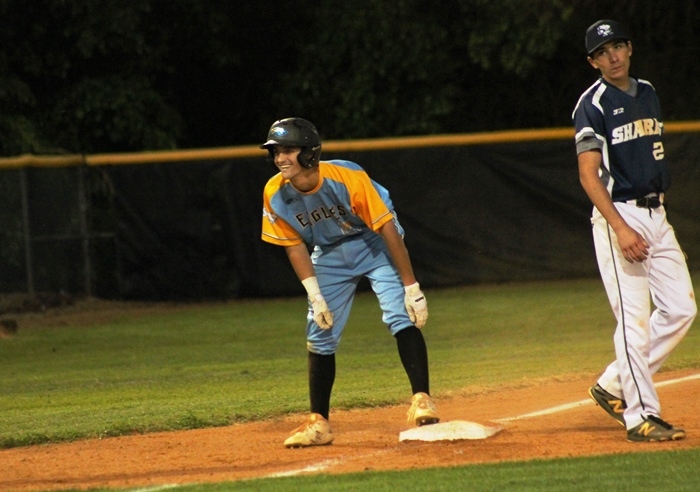 Yes, Park Vista and Jupiter have gotten off to slow starts, but both teams in 9A, along with a whole host of teams in the lower classes have a legimite shot. Heritage Delray has been knocking on the doof for the past several years, and it seems like a natural progression that they could break through and win a title. Seminole Ridge has the pitching to make a deep run in 7A, and all four teams in 7A-13 could make a championship run. Same goes for 3A-7, where it wouldn’t surprised me if Berean, Jupiter Christian, or Archbishop Carroll ended up in a dog pile in Fort Myers in late May. Rick: Fact. If you were paying attention you know I already put my faith in American Heritage-Delray. The Stallions compete in a district so tough that any of those teams could prove me wrong even before the regional playoffs, and Class 4A might be the toughest one in the entire state. So it will be that much more satisfying for the Stallions when they win the state title this year, knowing how tough it was to get there. Currently the Jupiter Warriors are the defending champions in 9A, and they are a veteran group capable of defending that crown. Watching the Warriors double down and win two games in one day, while taking down the defending champ to win last year was a memory I really enjoyed. But they also play in the largest and most competitive class in the state and no team has ever repeated as 9A champion. Jupiter could put in a great year but still not win a state title in the end, it is just that tough in 9A. 5. West Boca is currently undefeated. The Bulls will finish with three or less losses this season. Anthony: Fiction. What first year Manager Mark McCoy has done with the Bulls so far is nothing short of remarkable. Starting 6-0 has gotten the attention of everyone in Palm Beach, but things are about to get much tougher for the #8 team in the county. It starts with tough out-of-state competition in the HofBall National Classic tournament this week. Then, dates in the second half of the season with Douglas, Wellington, Saint John Paul, and Dwyer could make three or less losses a tough task. But hey, nothing wrong with 18-4. Whether they stay under three or not, West Boca is a team I expect to be right there in the hunt to get to Fort Myers in May. Rick: Fact. The Bulls have some very tough teams left on their schedule, but they are also a tough and veteran team. Over the many years of covering this program they have always impressed upon me their maturity and mental toughness. First-year manager Mark McCoy has done an excellent job so far, and he inherited a disciplined and experienced team that improved from 4-19 two years ago to 16-10 last year under previous manager Bobby Stallone. McCoy has a high-caliber pedigree on his resume and he has his guys playing at a high level. Also, the Bulls have done it before, going 22-2 in 2014 under Nick Sciano. The pressure is on to do that again, but West Boca can handle it.